In Frank Capra's definitive holiday classic, an angel helps a compassionate but despairingly frustrated businessman by showing what life would have been like if he never existed. "Best for ages 9+. No matter how often you see this perennial Christmas favorite, you will be entranced. Flawless." Frank Capra's paean to small-town values and the ordinary guy who does the right thing is a classic story of redemption and second chances, with James Stewart as a man who's come to the end of his rope one Christmas Eve, and Iowa native Donna Reed as the high-school sweetheart who became his wife. The supporting cast includes Lionel Barrymore, Beulah Bondi, Ward Bond and Gloria Grahame. 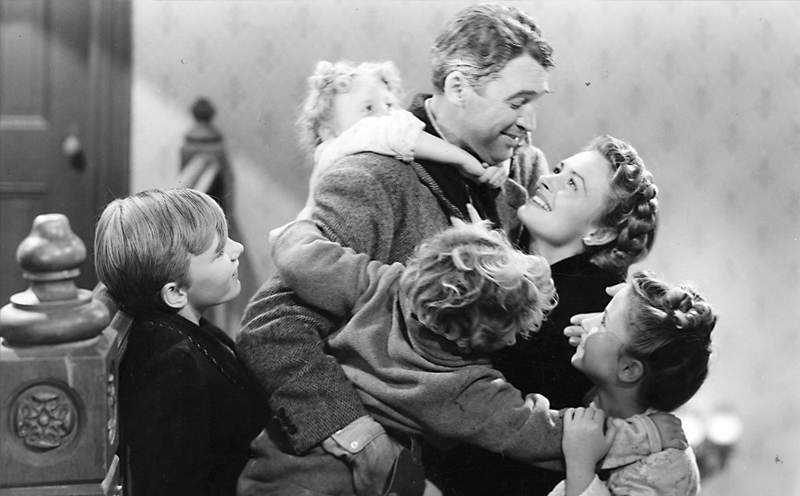 It's A Wonderful Life was the first release from Liberty Films, the pioneering independent label founded by Capra and fellow producer-directors William Wyler and George Stevens, and went on to become not just a perennial holiday favorite, but one of the most beloved of all American movies.